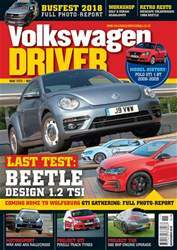 (2 Customer Reviews) | Write Review 12 issues per year Volkswagen Driver is probably the world's most authoritative English-language magazine which deals with the Volkswagen brand. Our team of writers has outstanding knowledge, covering the whole period from the development of the original Beetle to the most up-to-date models. 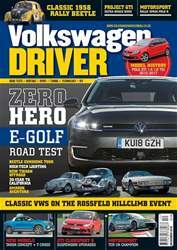 We publish independent, fully-detailed road test reports of all the latest models, historical features, articles about owner and their cars, features about VW motor caravan and light commercials, and cover all aspects of Volkswagen motorsport, tuning and modification. Looking for Volkswagen Driver in print? Unfortunately pocketmags.com does not sell print copies of Volkswagen Driver, but all is not lost. Our partner at magazine.co.uk sells print subscriptions at the best prices online. News Paul Harris 1938 - 2015, VW at GFOS, New Passat BlueMotion, Passat Saloon for Europcar, Stefan Sielaf, First UK XL1 owner, Which? Award, VW Group sales Jan to May, STOP PRESS: WRC Rally Poland. 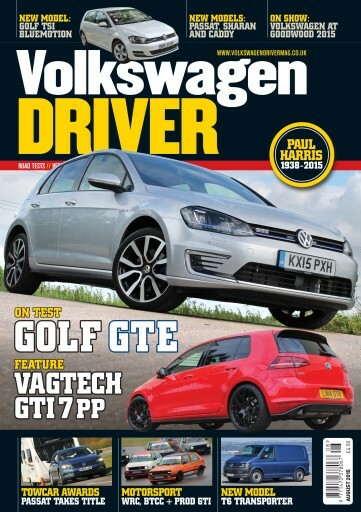 Road test Golf GTE – Two engines are positively better than one! New model Golf TSI BlueMotion is a mighty mouse! Modified cars VAGtech’s modified Mk 7 Golf GTI PP is a weekend warrior! Motorsport BTCC Oulton Park and Croft: Team BMR tops the table! Volkswagen drivers Happy birthday to Tim Brown! Products & Services Steel Seal head gasket fixer, Powerflex rear bushes for 2WD VW, Snooper Tyre Pilot, Stowford Campervans, Powerflex camber bushes for 4WD VW, Mk 4 Golf rear anti-roll bar from TDC, Webcon manifold for twin-DCOE VW 2.0 16V, Forge Motorsport K03/K04 silencer delete pipe, Campervan Crazy book, New discount catalogue from GSF, Continental wins Auto Express Summer tyre test, Forge Motorsport alloy radiator for Mk 7 GTI, Meyle auto trans service kit. 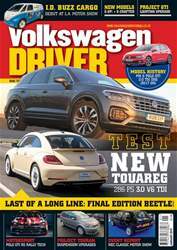 Volkswagen Driver is probably the world's most authoritative English-language magazine which deals with the Volkswagen brand. Our team of writers has outstanding knowledge, covering the whole period from the development of the original Beetle to the most up-to-date models. We publish independent, fully-detailed road test reports of all the latest models, historical features, articles about owner and their cars, features about VW motor caravan and light commercials, and cover all aspects of Volkswagen motorsport, tuning and modification. You'll receive 12 issues during a 1 year Volkswagen Driver magazine subscription. You'll receive 12 issues during a 1 year Volkswagen Driver magazine print subscription.